Hello and welcome back! 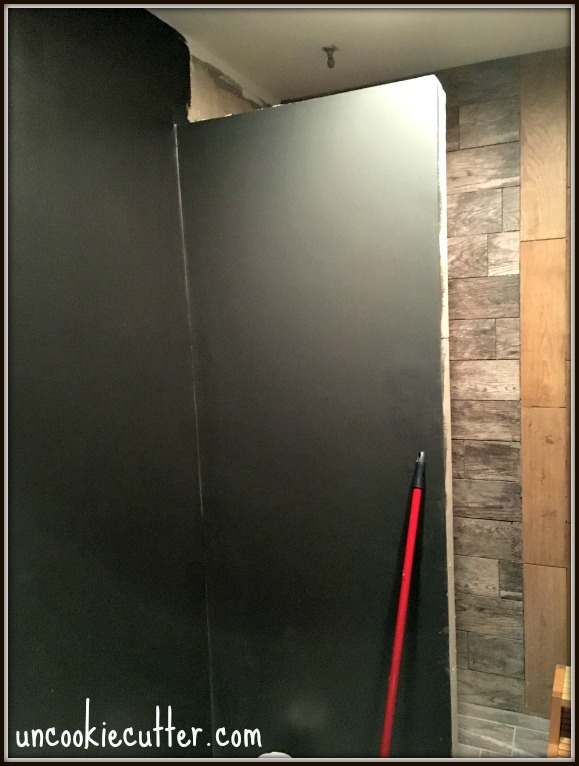 So, if you remember my bathroom remodel, you’ll remember that I did a walk-in seamless entry shower in place of the old dated shower/tub combo. Well, of course since this was my first time doing wall tile, and only second time working with tile altogether, it’s an understatement to say I learned a lot. 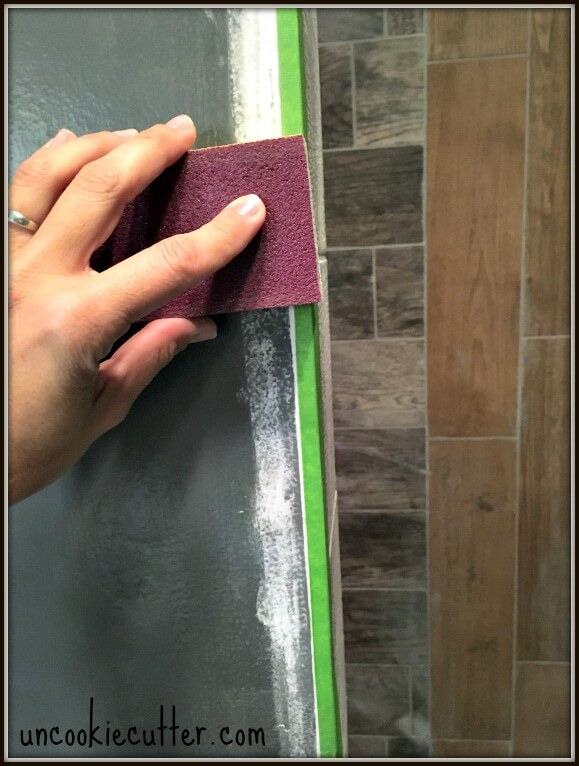 One of the things that hit me when I was getting started was that I was going to need some trim to make the edges of the wall tile look all nice and pretty. 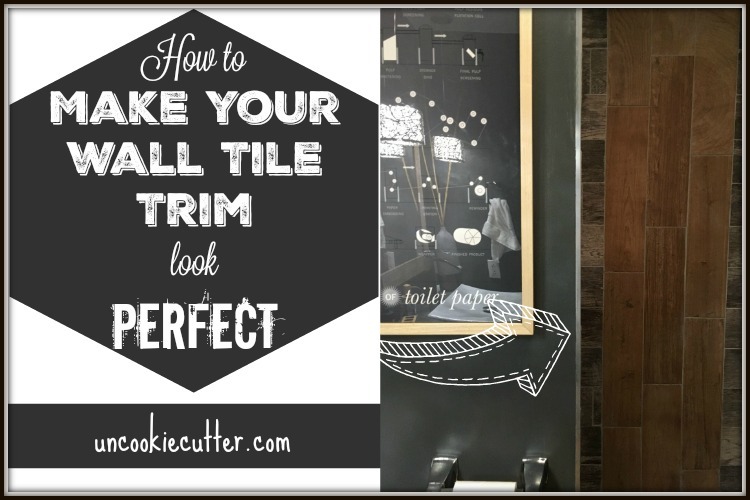 Here is a little rundown of the tile trim I picked and how I made it look perfect. This post contains affiliate links for your convenience. See my full disclosure policy HERE. 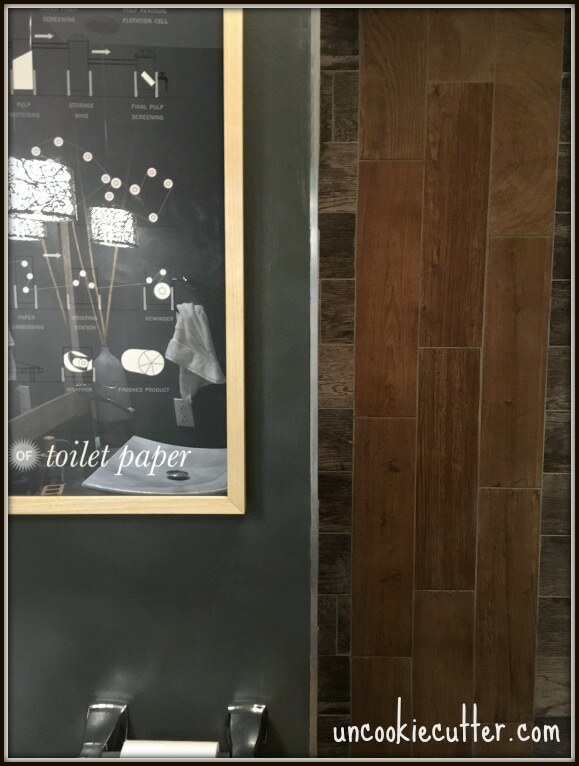 Since I was going for a modern, sleek look in this bath I needed a sleek, modern trim. I went with this trim from Schluter. It was the perfect choice for this room. 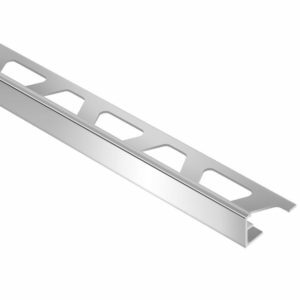 They make all different colors in this modern, sleek trim – from bronze to white. I used chrome to match my lights and other fixtures. HERE is a quick little video I shot on how to install it. 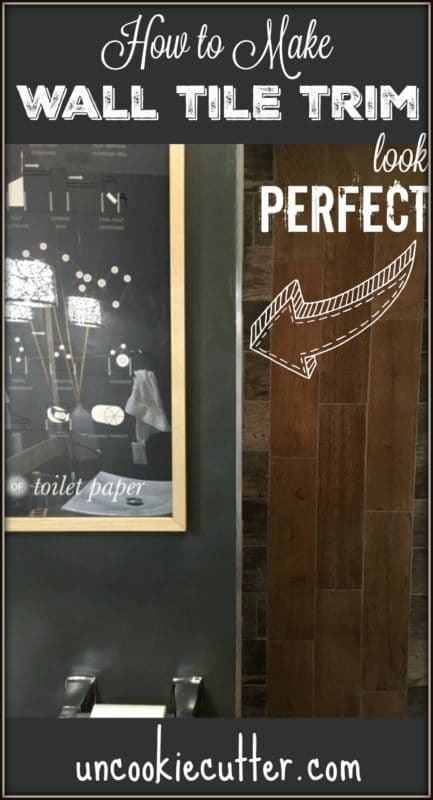 It was pretty easy, as far as the whole tile installation process goes. 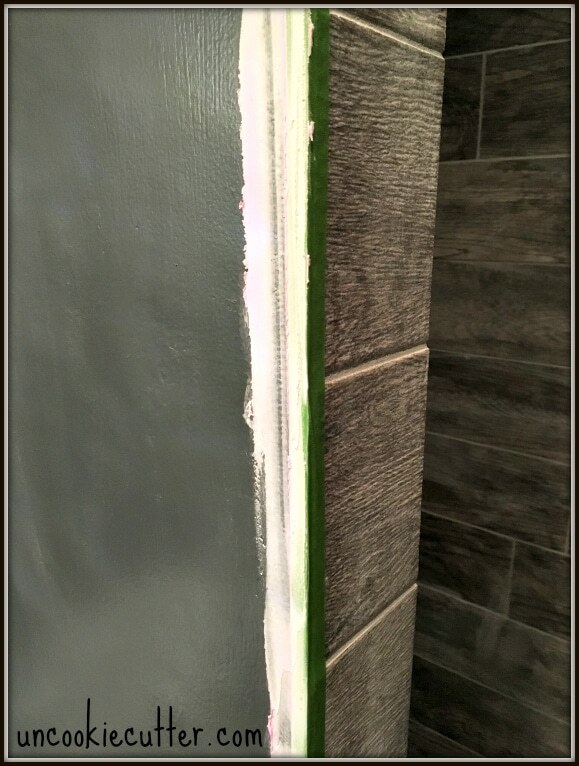 Just a couple of notes, I used my miter saw to cut the trim instead of the cool little tool they used and it worked fine. I also only did a few rows at a time. Then, I sort of pulled the trim back and laid more mortar behind it and kept going up the wall. I used a level to make sure my trim stay straight as I worked my way up. Before I started, I painted the wall behind where the tile would be. I’m sorry I didn’t take more pictures, I had to work pretty quickly. Like I said, I watched the video and then worked my way up a few rows at a time. After I got the tile installed, I had to do some finishing work. There was a little gap between the trim and the drywall, so I needed to fill it in. 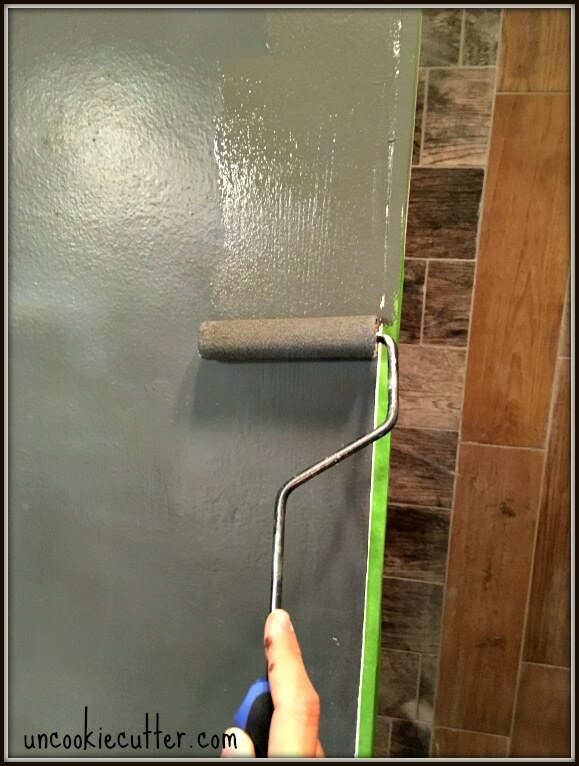 I started by putting painters tape over the trim and then using spackle in the gap. Then I smoothed it out and sanded it down. Then I just painted over it and removed the tape. 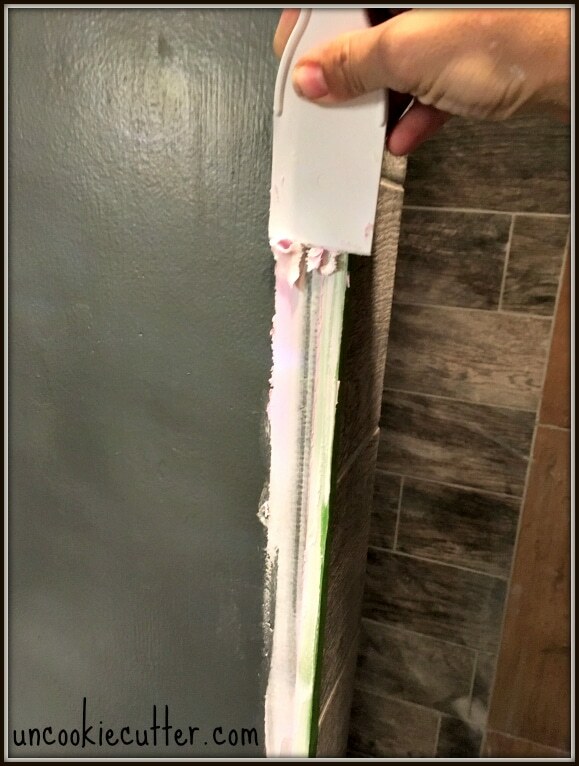 So, that’s how I installed my tile trim and made it look perfect. 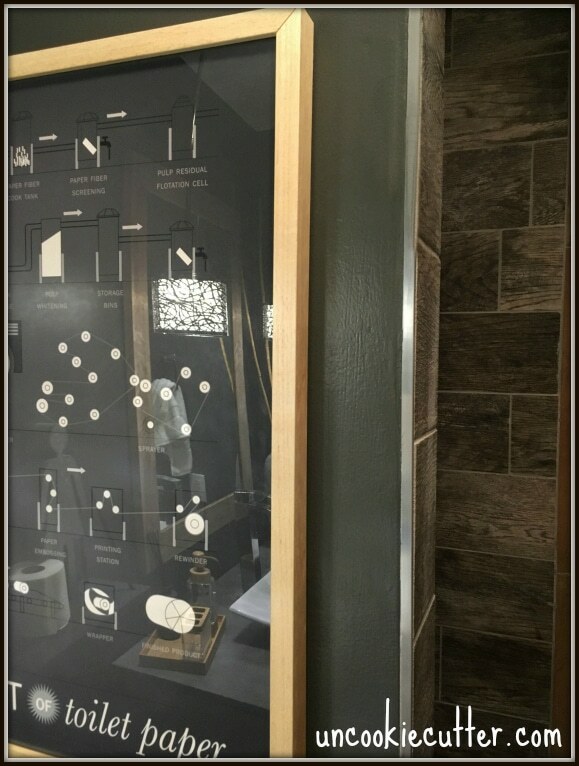 Have you used trim on your wall tile? Any easier ways to go? I’d love to hear about it. Sound off below!